While I’m waiting to get good photos of my Purple Friday Dress, I thought I’d share with you a peak at my next project. 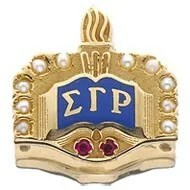 I’m a member of a sorority (Historically Black Greek Letter Organization (HBGLO)) and our colors are blue and gold. For HBGLOs, colors are super important. Which can be challenging when your colors are blue and gold (yellow and blue for dress purposes). It also matters because you dress in business attire and colors for monthly meetings annual and regional conventions and events. I tend to just wear a black suit with a yellow top. So, imagine my delight when I spied this blue and yellow silk jersey from Prairie New York at Mood Fabrics back in August. At $25 a yard I was nervous about the purchase. But, Trena and my friend Liz reminded me that a silk jersey DVF dress would cost over $300. So, I swallowed my nervousness and bought five yards. I’m not far at all, LOL! Everything is cut and ready to be sewn. This hopes to be Vogue 8804. 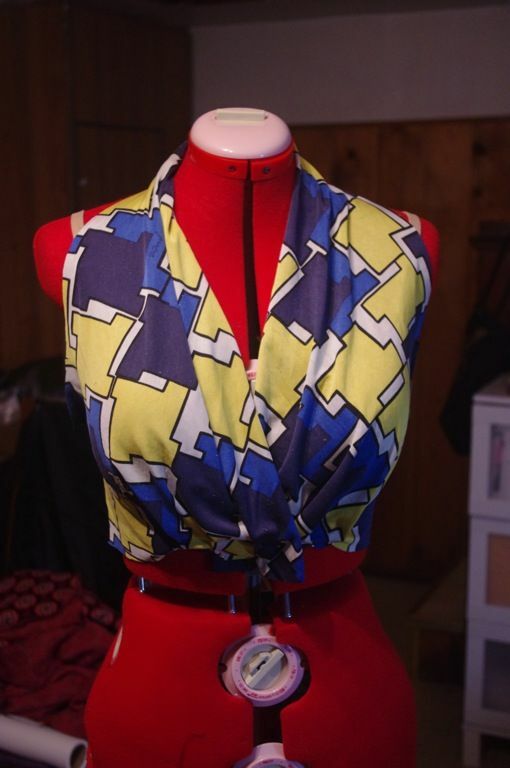 It has the same vibe as my Burda 9-2003-107 dress that I’ve made twice. Same lines in the V-neck, dolman / raglan full sleeves, defined waist and a long waist tie. Heh. Actually, I can’t take credit for noticing the similarity. I showed the Vogue pattern to Liz and she said, ‘Don’t you have a dress like that?’. Why, yes. Yes, I do. Version 1.0 here. 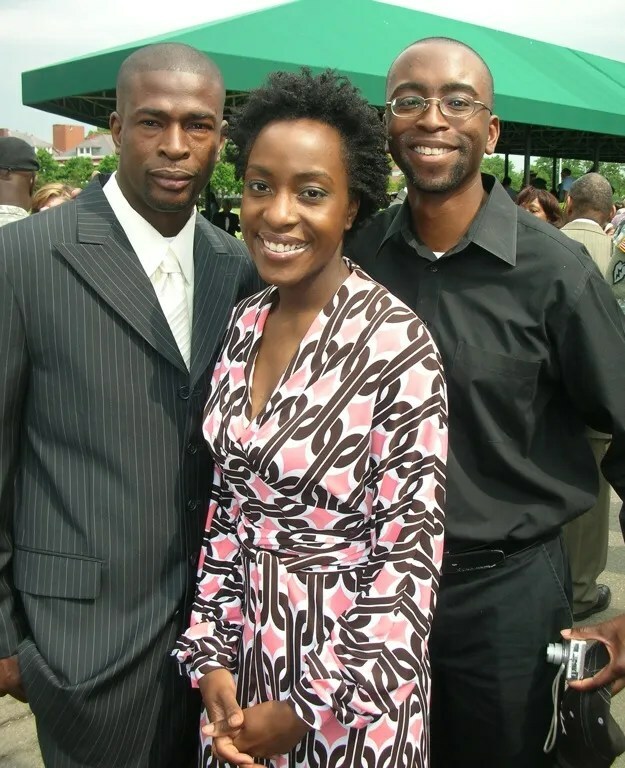 With my brothers… bet you thought I was an only child, huh? I wear the two dresses about *all* the time and the chainlink version is by far my most complimented garment. Hopefully, this one will too join the ranks! 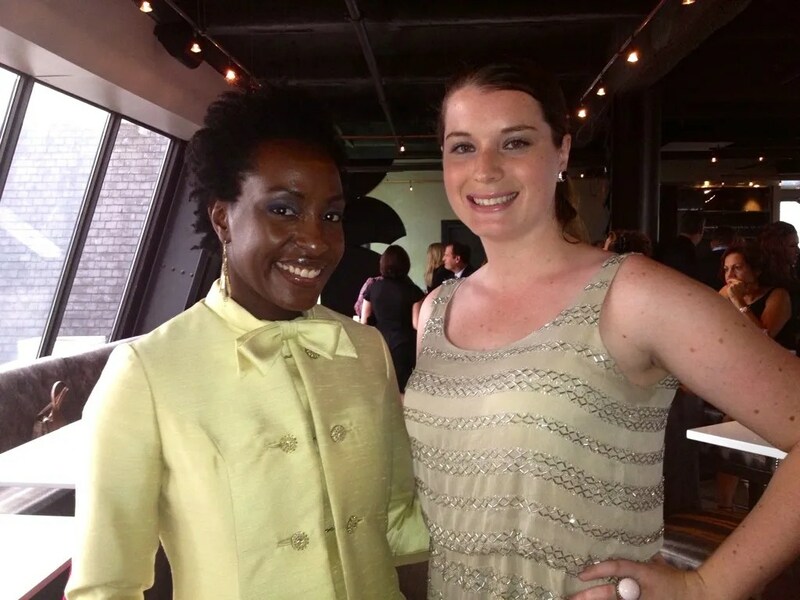 On another note, I went to an event last night and wore my vintage yellow ensemble. This is only my second time wearing it in the last year. I’ve not done a great job of getting a photo of myself in this dress. I seriously love this outfit. Here’s another so-so pic of the bodice. I am not short. Liz was wearing heels that made her over 6 ft tall. I don’t know how she does it. Ooh, I LOVE that print! Can’t wait to see the finished dress! Lovely combination of fabric and pattern, but I think that it’s vogue 8825. I’m looking forward to seeing the results. It really is very cute fabric and I’m certain it will look amazing. Do they have any pink and green fabric????? That fabric is just gorgeous! Well worth the $25/yard you paid for it. Your brothers are so handsome – hell, your whole family’s gorgeous! The print is TDF!!! I love the v2.0 dress. And your brothers are hot! Too bad I moved away from the East Coast. 😉 Can’t wait to see your new dress. I’ve made that pattern and love it! I’m excited to see your finished product. Silk jersey . . . I’m drooling!!! I’ve never sewn it, but I suspect it would handle nicely. The fabric is gorgeous and I would be terrified to cut it! I just bought this pattern, so I look forward to seeing how it works for you. Your vintage outfit is a great colour on you and thank you for showing your brothers; they are both very handsome! I love this pattern and can’t wait to see how it turns out. I’d like to have a go. I really appreciate the way you write about Baltimore and what makes it tick. I told my husband to check out Under Armour stock this morning. and although I’m not a football fan, I love that you appreciate what the team brings as far as morale and business. We like to dress in orange on Fridays in support of the San Francisco Giants. Can’t wait to see this dress! Oh, and the vintage outfit is absolutely STUNNING on you! WOW! I have bought some vintage clothes, but I have never found anything like that. Why would we think you were an only child? Only 2 brothers? When are you going to show us that purple dress? I am actually amazed that you get all this sewing done while working and being so busy! Fantastic print and I am looking forward to seeing that Vogue finished, I just bought that pattern. Hi there ~ You are a fabulous seamstress! I found you a few weeks ago while trying to figure out how to do sway back and full rear adjustments. Have you ever done a tutorial on how to do these alterations? I poked around a good bit, but couldn’t find it…. If you have, can you post a link, and If you haven’t, would you consider writing one? or at least point me in the direction of a good one? Wait, so are those your *actual* brothers or were you speaking (historically black) Greek here? Also: the silk jersey is awesome! Just discovered your blog soror. Love it! I definitely plan to come back as I get back into sewing. Just discovered your page SoRhor and I LOVE that print! I can’t wait to see that dress!